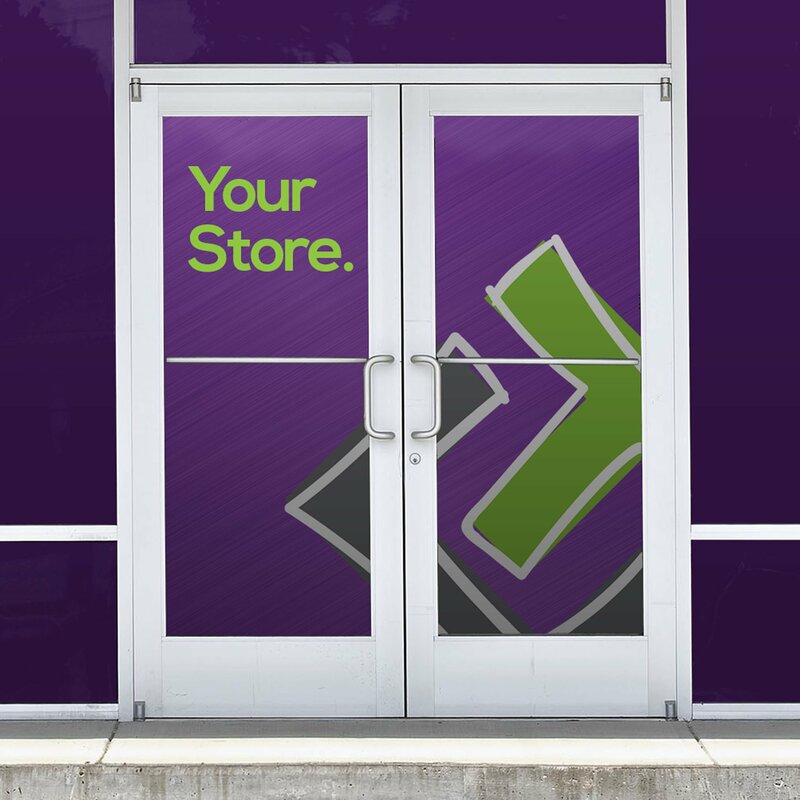 Practical for enhancing the appearance of your storefront, promoting specials and keeping a consistent brand image for your business. Direct your customers with lettering or display attractive imagery to attract your consumer’s attention. Opaque: Invest in clean cut, versatile vinyl window graphics that provide optimal privacy for you and your business. Available for indoor and outdoor use for full coverage. Draw in business with a pop of color from vibrant vinyl window imagery. Clear: Allow full light to pass through your window graphic with this clear graphic option. Clear decals present the opportunity to print images on vinyl without losing visibility from the surface it is applied to. Multiple finishes (gloss, matte, etc.) are available for a customized look. Perforated: Don’t “lose sight” of your customers! Perforated window graphics are the perfect solution for anyone looking to invest in the best of both worlds: privacy and visibility. Perforated vinyl window graphics serve as a way to see out without others being able to see into your business. These decals are manufactured in a “dot” fashion – however our eyes from a distance view a complete, printed image. Frosted: Simulate the appearance of etched glass for your storefront, office or check-in windows – allowing for subtle light to shine through however providing stylish privacy. Invest in simple vinyl lettering or logos or incorporate a frosted glass guard along windows and doors. Vinyl Lettering: Looking less for coverage but rather a way to direct or inform your customers? Vinyl lettering is useful for storefront logos, hours of operation, basic information or specials and more. Advertise your business in a clean, straightforward way with custom designed lettering. Available in customizable fonts and colors. Save/send art files in CMYK – our Full-color printers utilize cyan, magenta, yellow and black ink to create the vibrant colors you use in your designs.